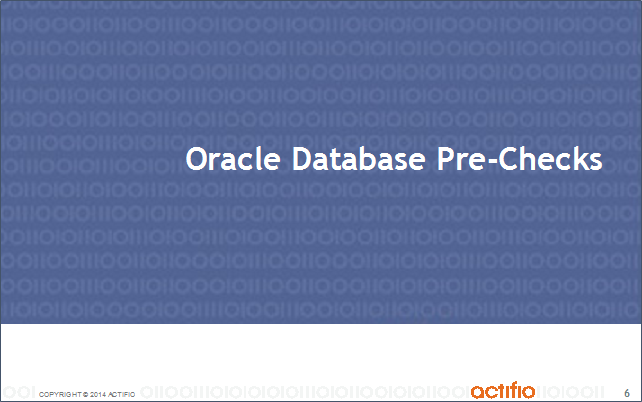 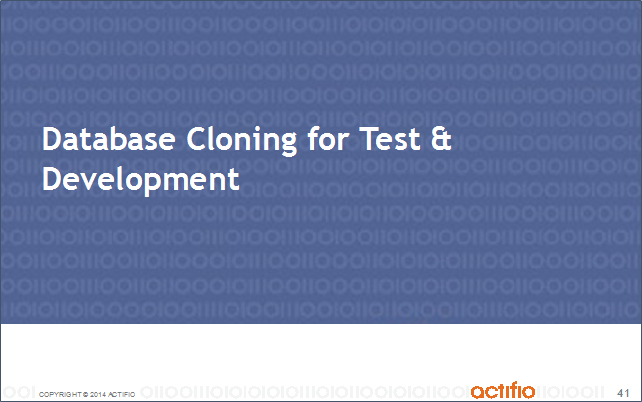 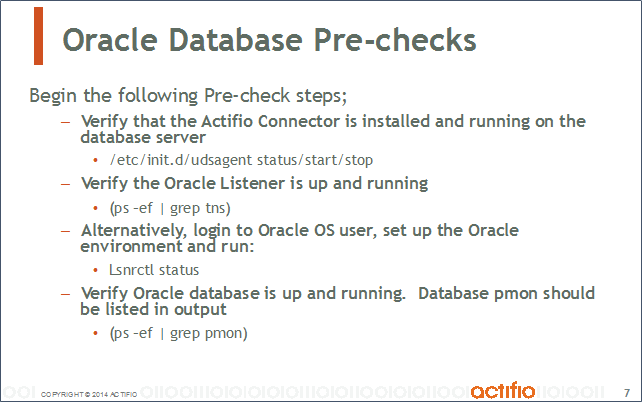 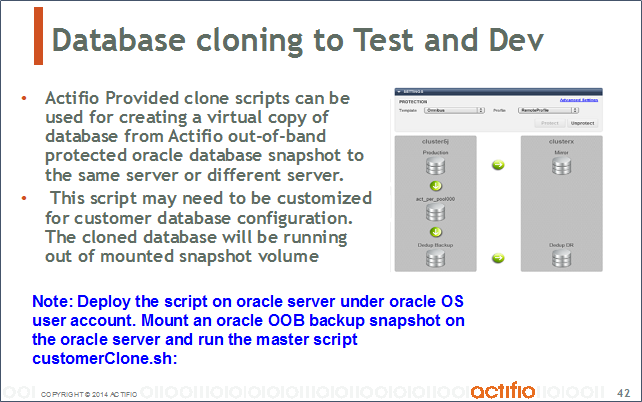 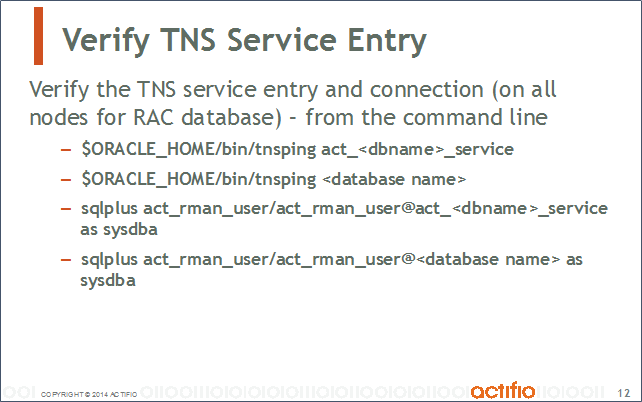 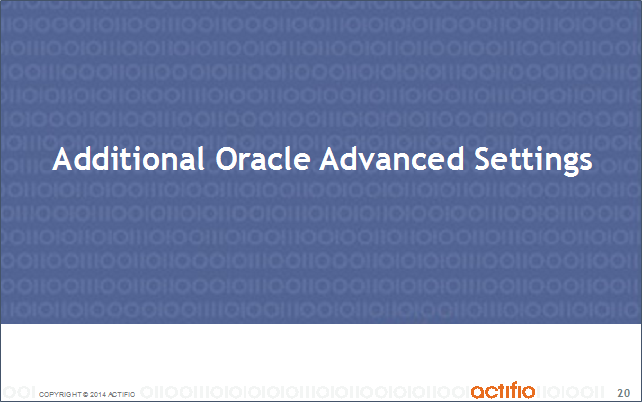 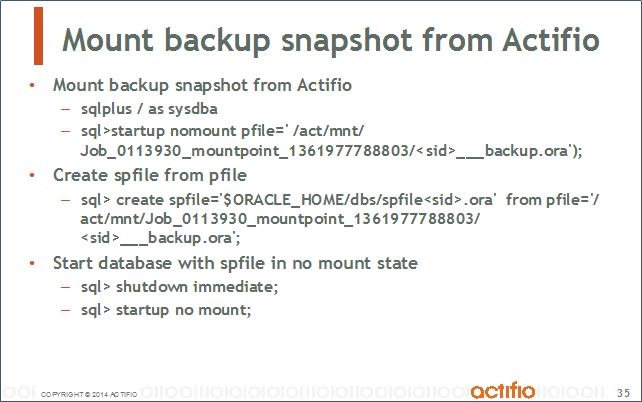 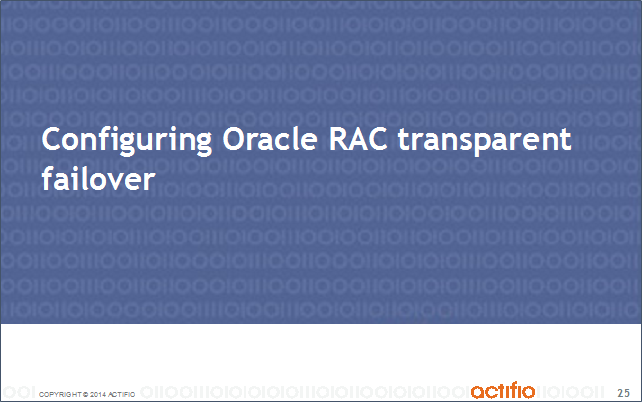 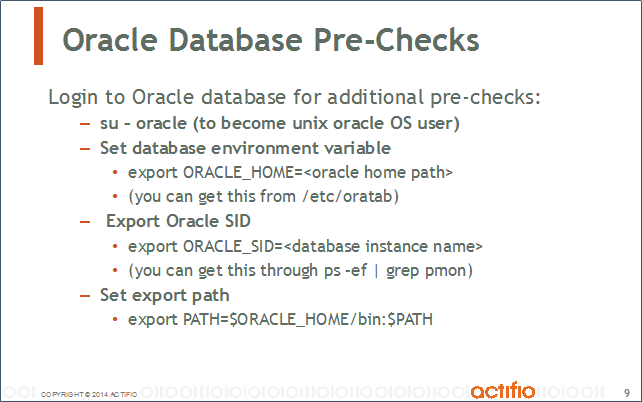 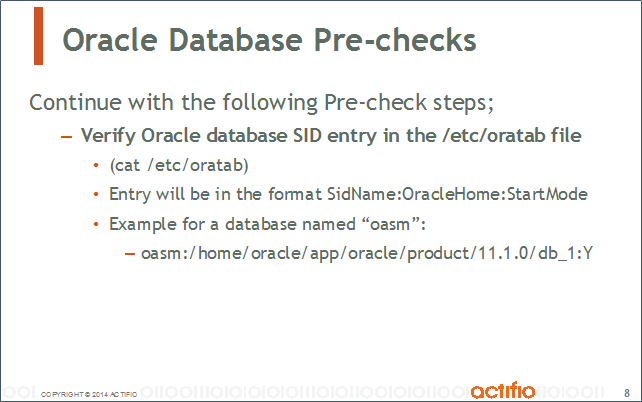 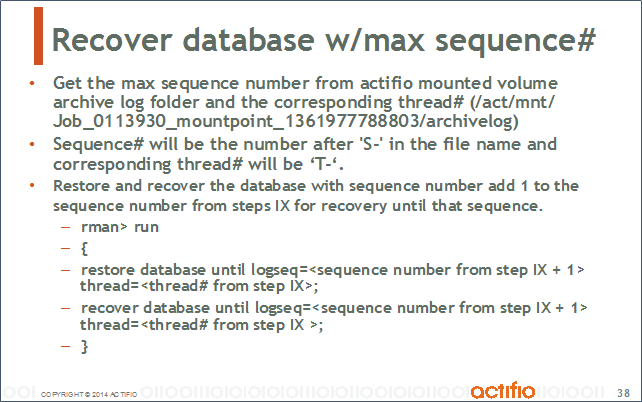 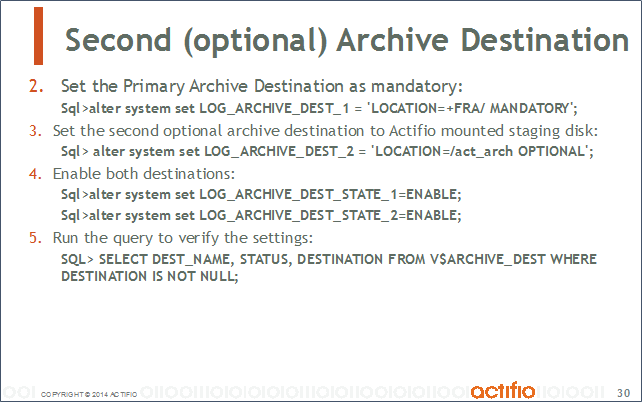 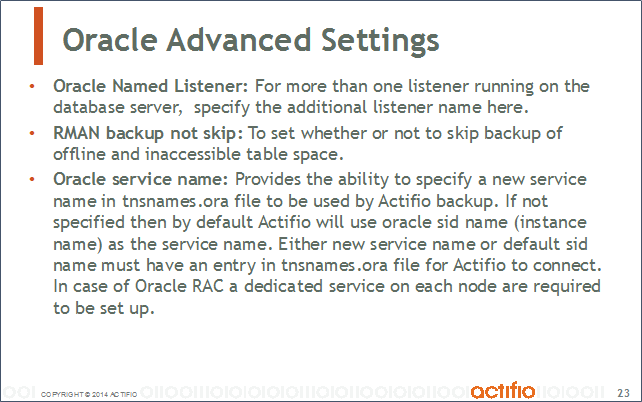 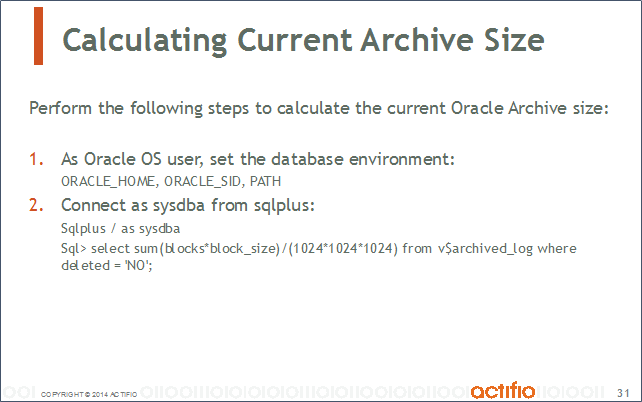 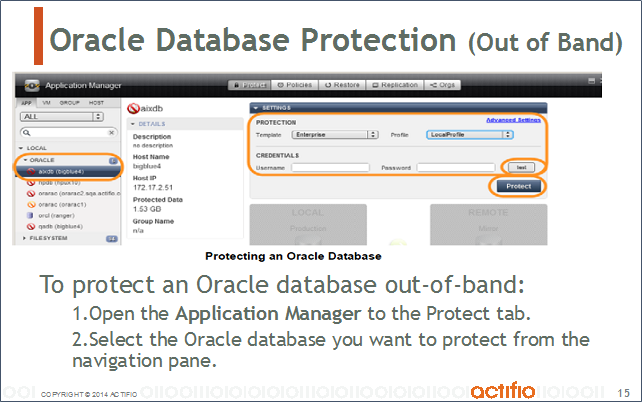 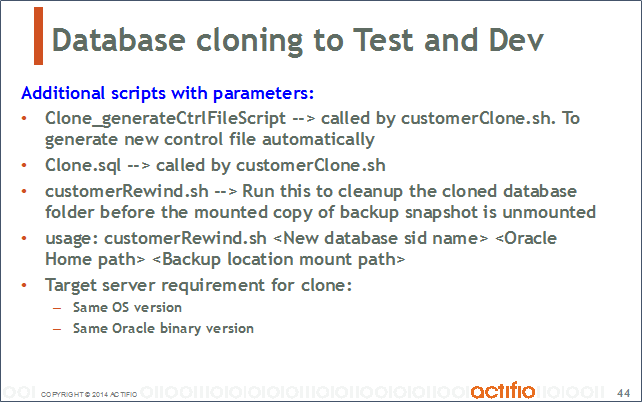 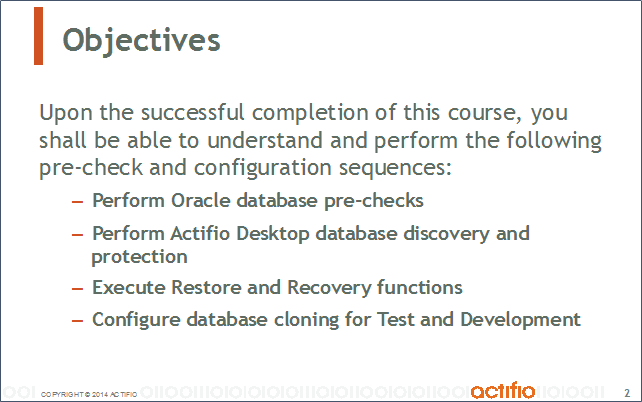 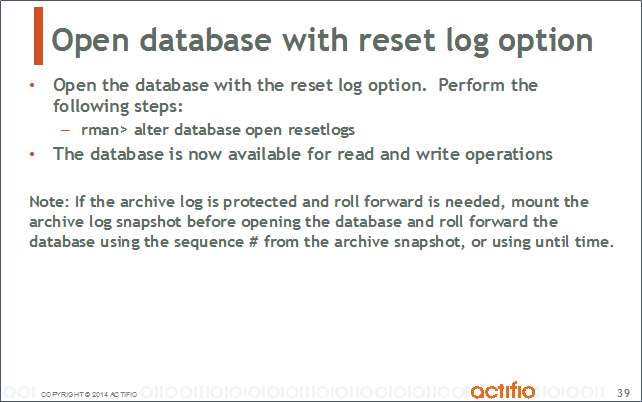 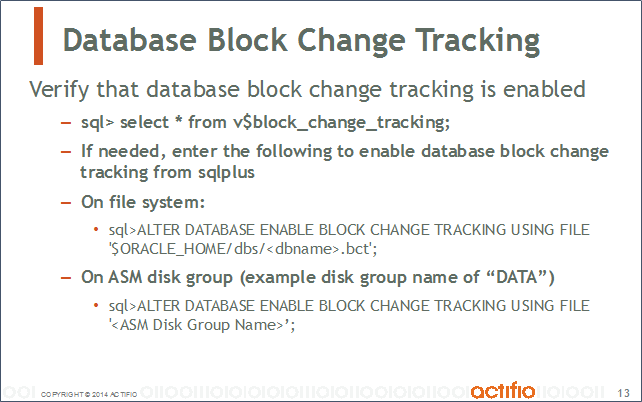 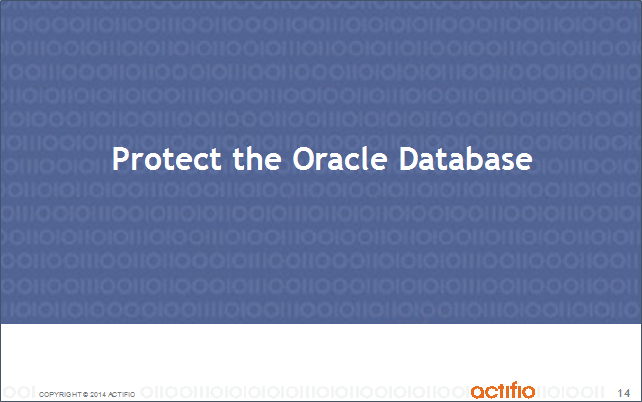 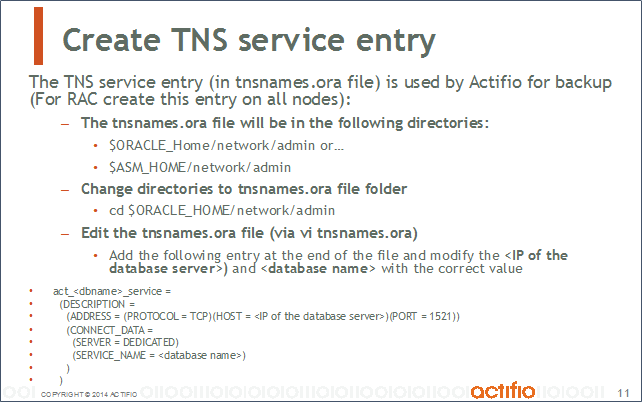 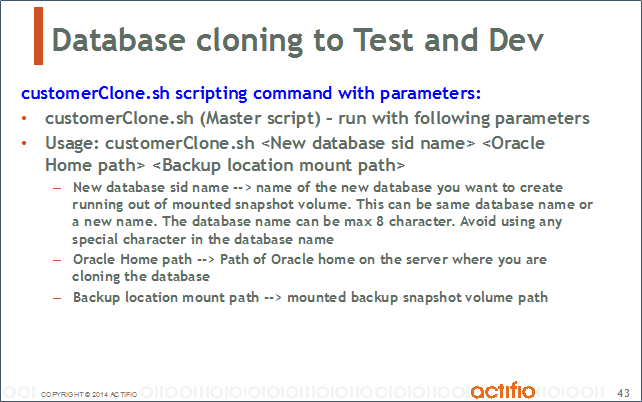 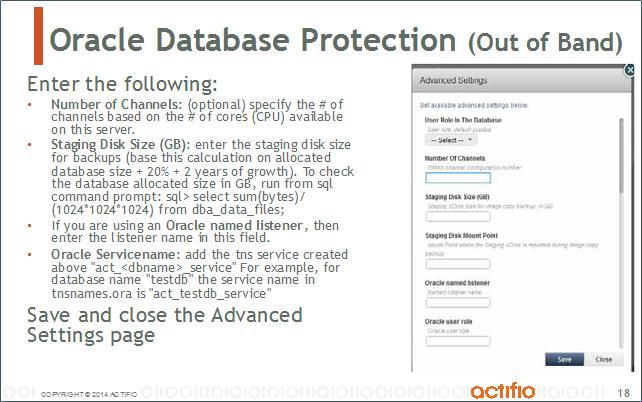 Optionally, the operator may mount a permanent staging disk from Actifio to the database server. 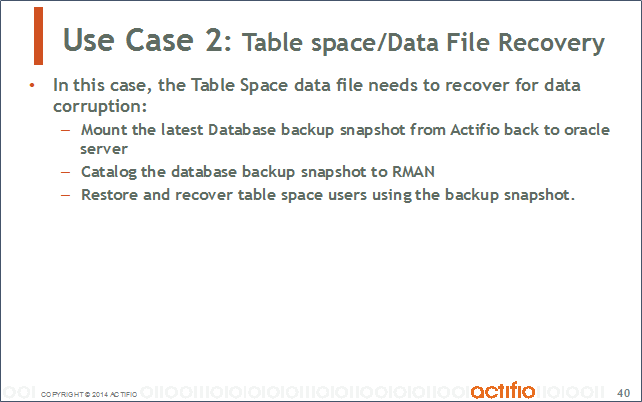 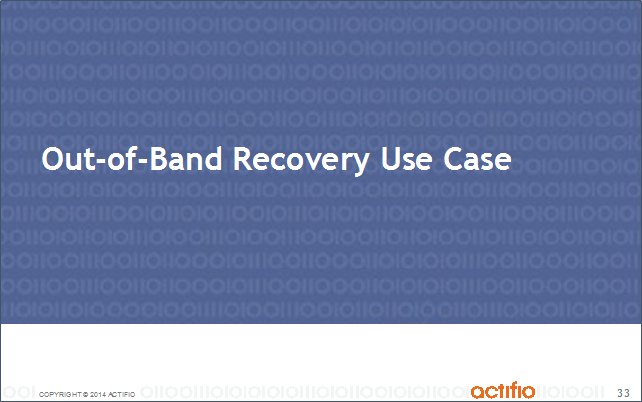 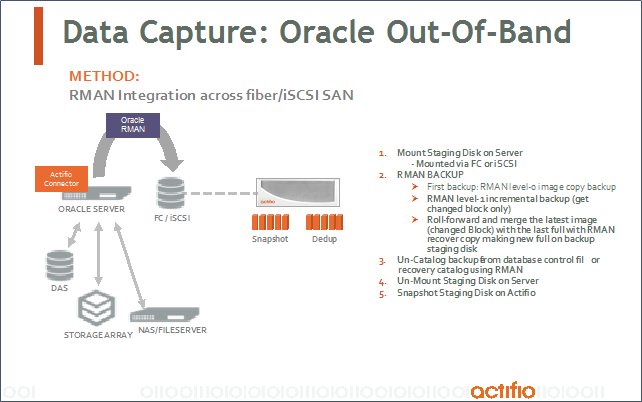 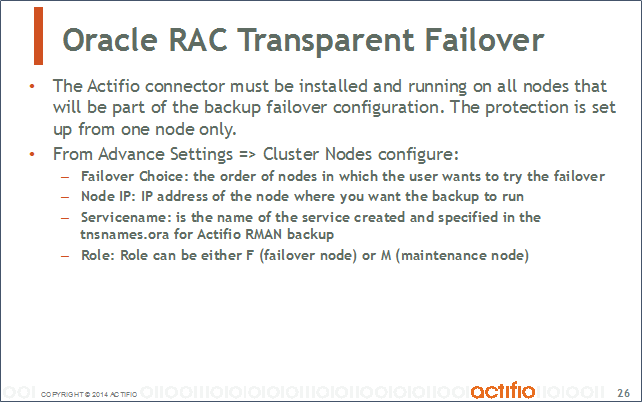 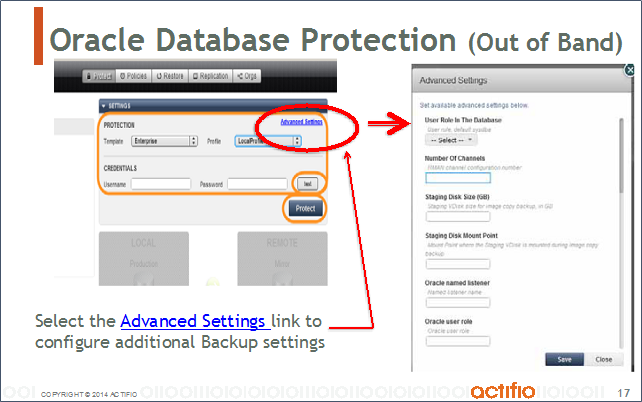 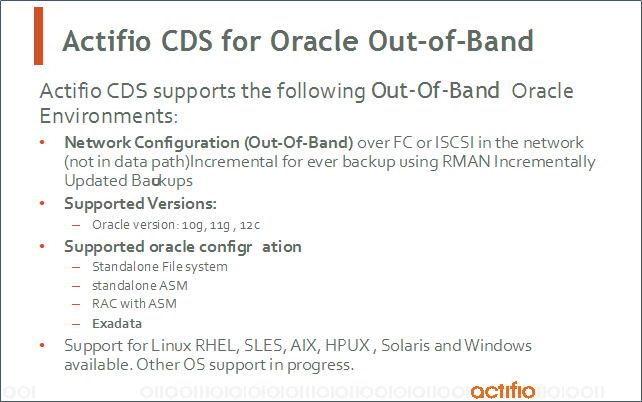 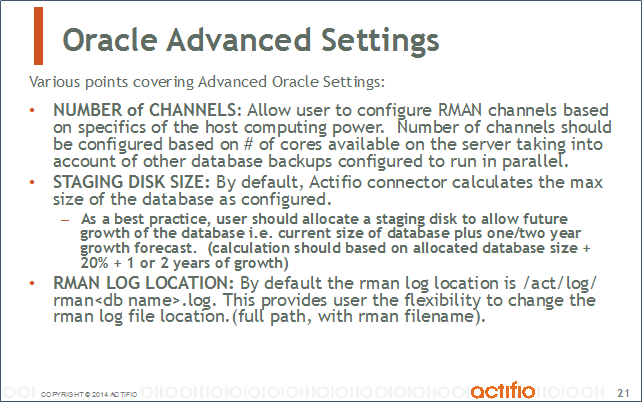 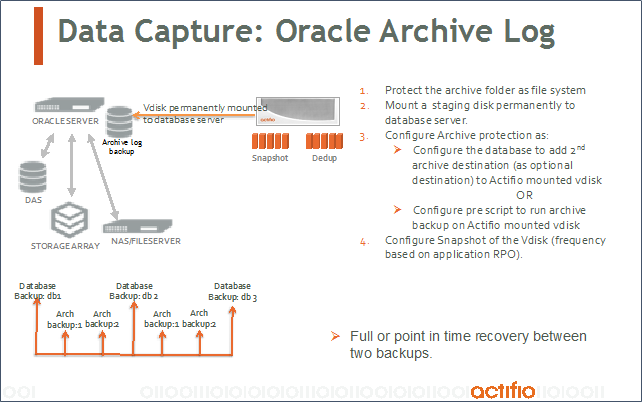 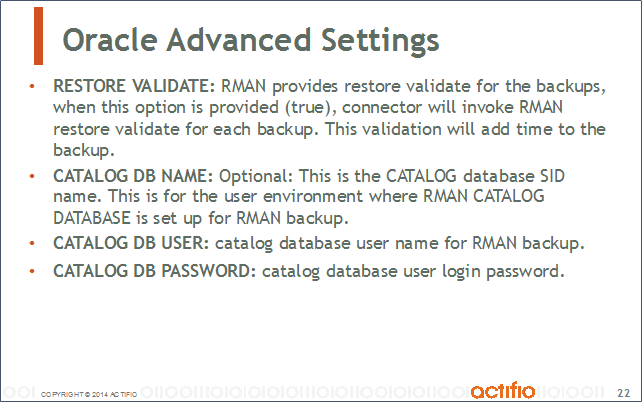 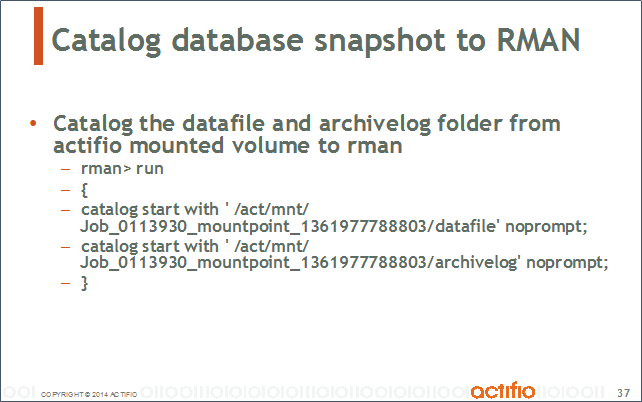 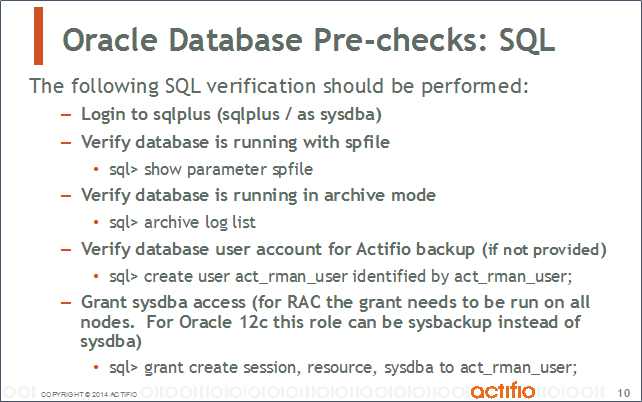 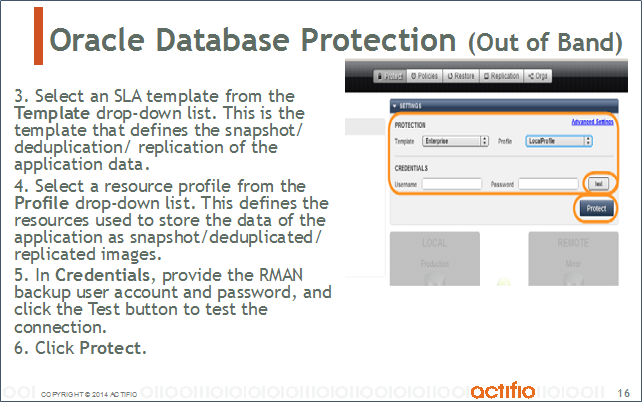 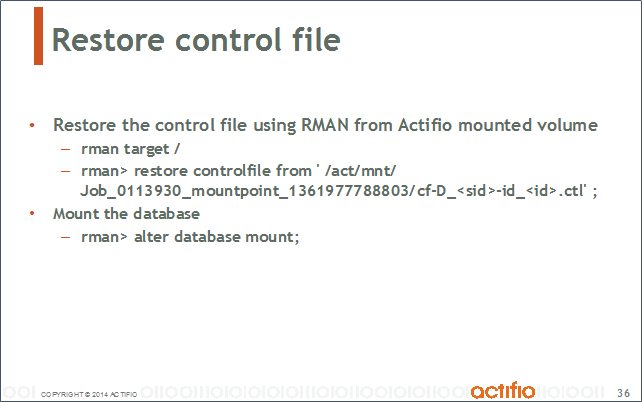 From there, configure the RMAN archive backup script to backup onto the staged Actifio disk. 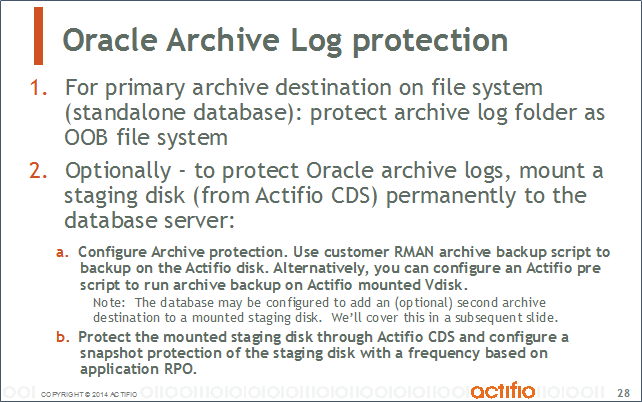 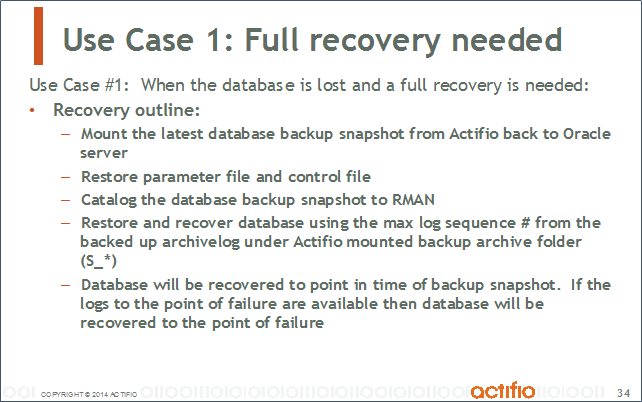 Alternatively, the operator could configure an Actifio pre-script to run the archive backup on the Actifio mounted disk. 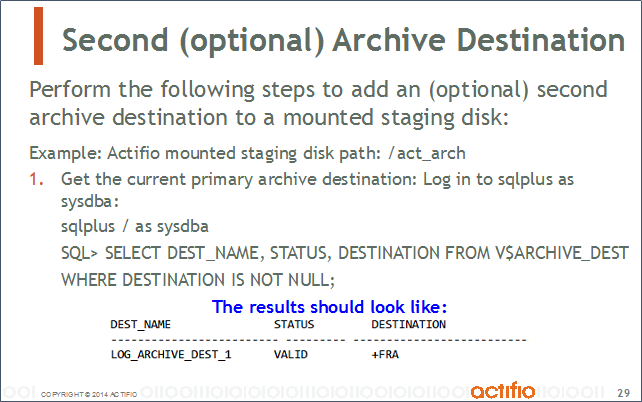 Lastly, protect the mounted staging disk through the Actifio CDS, and configure snapshot protection of the staging disk based on an appropriate SLA.